I had a website I thought was impressive. Little did I know that the low number of hits was due to key words and placements. Not only did Chris drive clients to my site in a very big way, he completely overhauled my website making it much more interactive. My business has been improved beyond expectations. At first I hired Chris to build a website for me, things were done quickly, efficiently, and the look was great. Having been very satisfied with the first experience, I hired Chris to attack a larger website project. Again, his understanding of our business, professional suggestions, and execution were beyond my expectations. He really has an excellent sense of understanding the client and their business, he listens and then creates something that truly represents it to the target audience. I hired Chris months ago while setting up some features on my website that I had no idea how to do! He was great about teaching me how what he was doing, and how I could do it on my own going forward. He answered all of my 5000+ questions and still helps me when I don’t understand something! If your needing help, or have questions... I highly recommend his company!!! Thank you for all your help Chris!!! What a delight to find and work with Chris. I was stuck on a persnickety tech issue with my website late at night, he not only offered advice, but jumped into the backend of the site, and wrangled the issue to the ground. When I offered to bow out because I felt like I was taking up too much of his time, he stuck it out, saying he loved a challenge. A website superhero and problem solver, with a smile. Thanks, Chris!! Chris helped out with a Squaresapce site for one of our clients. We were having major difficulty which was delaying the build process - massively. Thats where Chris stepped in! 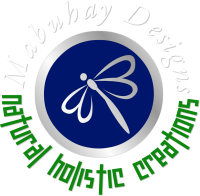 Have something Awesome to Say about Mabuhay Designs?